A report commissioned by the Alberta government has given the province a glowing review of its pipeline regulations, but critics say the report released today falls far short of investigating pipeline safety in the province. A long-awaited review on pipeline safety commissioned by the Alberta government has taken an overall positive view of the province's regulations. However, the study released Friday was quickly dismissed by critics who said it lacked substance because it neither examined the effectiveness of enforcement nor drew lessons from specific spills in recent years. The review, conducted by Group 10 Engineering, looked at rules governing pipeline integrity, the safety of pipelines crossing water and spill response. It cost the province $455,000 to complete. The report include 17 recommendations to improve pipeline safety that were accepted by the province. Alberta Energy Minister Ken Hughes said the review confirmed the province is a leader in pipeline safety. "The review assures Albertans we have a safe system in place, but it's important that we not rest on our laurels," Hughes said, adding his government would accept the recommendations for improvement. However, Liberal MLA Kent Hehr criticized the report for failing to look at the integrity or age of pipelines and enforcement of existing regulations. "There are a lot of feathers in this report, but not a lot of chicken," Hehr said. Among other things, Group 10 said regulations concerning pipelines near water need to be more consistent and clear — including a definition of what actually constitutes a body of water — and urged greater harmonization between government agencies both within Alberta and outside it. But in general, Group 10 said, Alberta's regulations are strong and compare favourably with other jurisdictions. "I'm pleased to say that the study has confirmed that Alberta leads in pipeline safety and has the most thorough overall regulatory regime of all assessed jurisdictions," Hughes said. As for the question of enforcement, Hughes said the Alberta Energy Regulator — formerly the Energy Resources Conservation Board — does a good job. "If pipeline companies do not comply, they will find Alberta to be a very difficult place in which to do business," he said. Theo Abels, a principal at Group 10, said the report wasn't meant to delve into the question of whether enforcement is up to snuff. 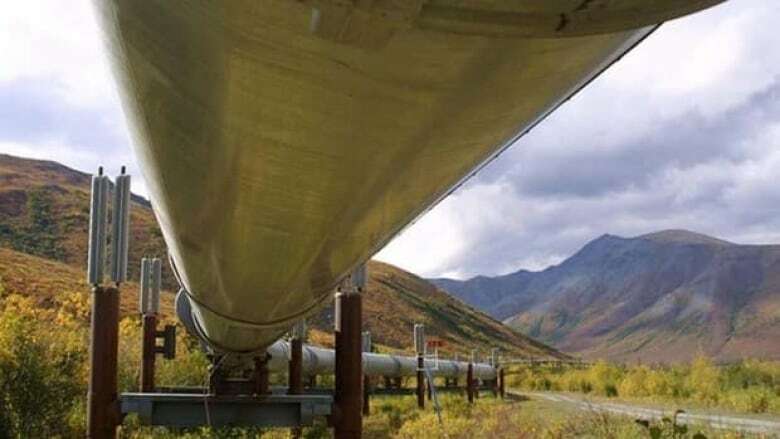 Alberta has been pushing for new pipelines to be built in order to expand the market reach of the province's crude, such as TransCanada’s Keystone XL pipeline in the United States and Enbridge Inc.'s Northern Gateway pipeline to the West Coast. With environmental opposition threatening those controversial proposals, the province, the federal government and industry players have been seeking to assure the public that crude can be transported safely through pipelines. The Alberta government commissioned the report last summer after a string of oil spills, including a 475,000-litre leak from a Plains Midstream Canada pipeline in Central Alberta in June 2012. A pipeline owned by the same company spilled 4.5 million litres of oil in northwestern Alberta in April 2011. Earlier this year, the province slapped Plains with environmental charges in relation to that event. Major pipeline spills continued in the spring of this year. An estimated 9.5 million litres of waste water leaked in northwestern Alberta from a pipeline owned by U.S. company Apache Corp.
As well, a Penn West pipeline spilled 5,000 litres of crude and up to 600,000 litres of wastewater, and an Enbridge pipeline near Fort McMurray, Alta., spilled about 200,000 litres. Group 10 submitted its review to Hughes last December, and the regulator submitted its response in March. For months, opposition politicians and other critics have been urging Hughes to make the results of the study public. Industry players were consulted in the creation of the report, but not environmental organizations and other public interest groups. However, the public will have the chance to give their views online during a 45-day comment period. "I did not believe that approaching public organizations would contribute technically to the improvement of pipeline safety and I stand corrected on that one if that's not the case," Abels said. Jennifer Grant of the Pembina Institute, an environmental think-tank, said the review looks at regulations "on paper only." "It's premature for the minister to say Alberta's a leader in pipeline safety without an evaluation of the data on the rate of incidents, compliance, enforcement, penalties, those sorts of things," she said. "We really need an assessment of the real-world performance to really understand to what extent Alberta is regulating this industry and where it can improve. This report falls short on that." Another report earlier this year, authored by biologist and environmental consultant Kevin Timoney and Peter Lee of Global Forest Watch, said fewer than one per cent of likely environmental infractions have led to any enforcement action. Greenpeace campaigner Mike Hudema said the report did little to shed light on the state of Alberta's pipelines. "Unfortunately, given the closed door nature of the process, none of the 54 groups that pushed for the report were consulted on it and the report didn't look at actual pipeline incidents or the province's poor enforcement record," he said. "This review is too limited in scope and won't do much to solve the province's mounting pipeline problems." Opposition politicians were also quick to criticize the report. Rachel Notley, environment critic with Alberta's New Democrats, renewed calls for the province's auditor general to conduct an unbiased review of pipeline safety. "The huge gap in the report is its failure to evaluate how well the regulator enforces its own regulations," Notely said. "They can have all they want on paper, but if it's never properly enforced, it's meaningless to Albertans when they wake up to find a pool of oil in their backyard. Alison Redford's government cannot be trusted to stand up for the health and safety of Alberta families when it comes to their friends and funders in the energy industry." Jason Hale, energy critic for the opposition Wildrose party, said a lot of the recommendations were "common sense" ideas that industry players would likely have thought of anyway. "I'm not sure that we needed a year to come up with those recommendations," he said.